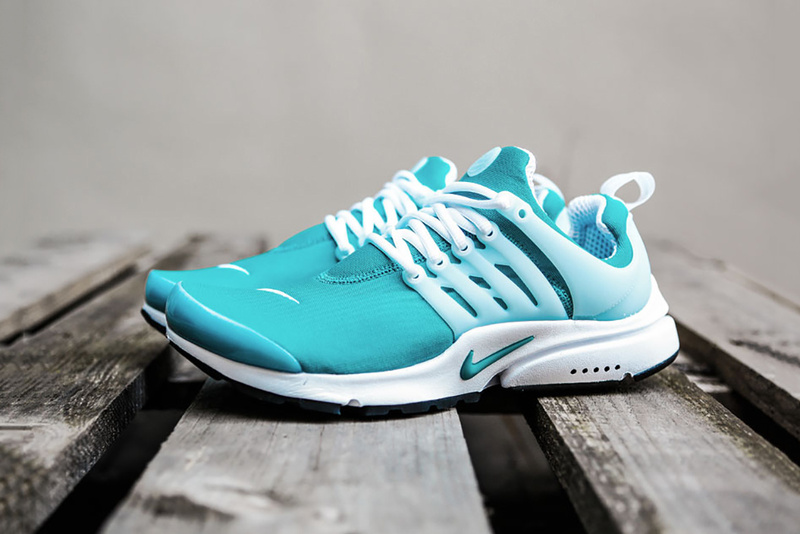 Rio Teal/White is the latest colorway presented by Nike for the Air Presto model. Donning a bright teal blue hue across its sock-like, one piece upper, this Presto is highlighted with simple white accents found across its molded overlays, laces, heel pull tab and inner lining. Finished off with a clean white midsole with standout Swoosh branding in teal, this Presto is ready for the summer months. Grab the Nike Air Presto “Rio Teal” now from Stickabush for €124 EUR (approximately $141 USD).